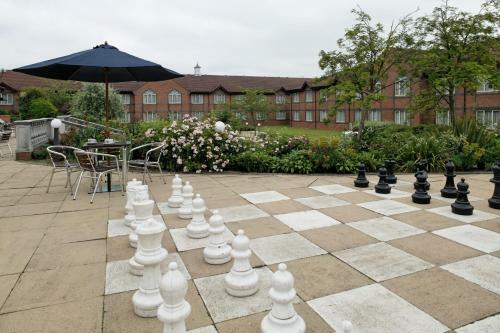 The Daventry Court Hotel enjoys a terrific location next Drayton Reservoir in picturesque Northamptonshire. The A5 and the M1 are just five minutes drive. Convenient for Althorp and Silverstone. You’re certainly spoiled for reservoirs at this hotel. On one side you have Drayton Reservoir and on the other you have Daventry Reservoir. Both are managed by the Canal & River Trust and both offer some terrific carp fishing and sailing opportunities . And if you’ve not had enough of water, you’ll be delighted to learn the hotel boasts a first-class Bodysense Health Club. The club has some excellent spa facilities including a good sized indoor swimming pool, a sauna and a steam room. There is also a well maintained gymnasium.